Nintendo Switch players will be able to experience Hellblade: Senua’s Sacrifice on their platform of choice. If you have never played it, I wouldn’t necessarily say that Nintendo Switch is the most ideal way to experience the game, but however you do experience it, it’s well worth your time and money. 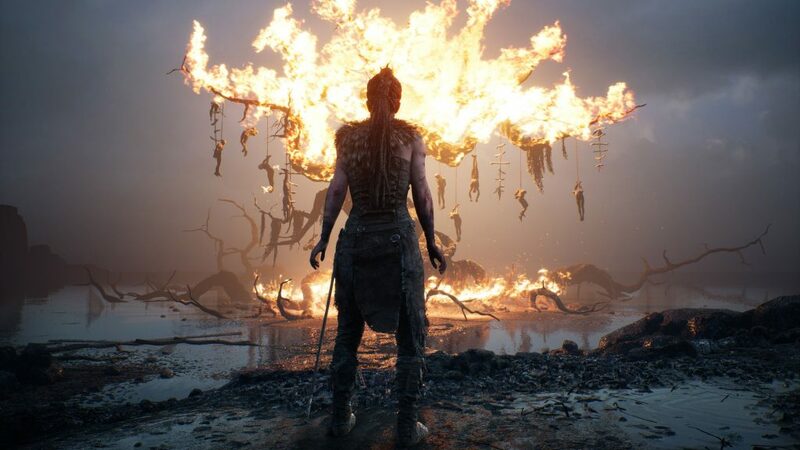 Back in August 2017, Hellblade: Senua’s Sacrifice launched to rave reviews from both critics and the general gaming public. Then, almost a year later, on April 11th 2018, the game came out on Xbox One. And now, a year after that, Hellblade is finally making it’s way on the Nintendo Switch. According to the Ninja Theory Twitter, it’s launching on April 11th 2019. So, now you’ll be able to experience the sheer nightmare of serious mental illness on the go, how fun! In case you don’t know what Hellblade is, I’ll briefly bring you up to speed. It’s a dark action-adventure game, with plenty of horror elements. The basic plot is, you play as Senua, whose lover has been killed by Vikings. Your quest is to go deep into Hel, the land of the dead, and retrieve his soul. The twist is that Senua is very mentally ill; she hears voices that constantly derides her, and one even talks to you, the player, directly. I’m pretty sure the game also implies that the player is one of the voices, too. The developers went to great lengths to portray Senua’s psychosis as realistically as possible, even consulting with mental health professionals. It’s a truly harrowing experience. So, there you have it. This is yet another chance to take a look into the dark denizens of Hellblade: Senua’s Sacrifice. Speaking for myself, I couldn’t recommend it enough. I would, however, recommend playing it sitting comfortably on your couch, with the lights way down. And, for the love of god, make sure that you have headphones on. This is how the game is meant to be experienced, just trust me on this one.